This list is far from complete. I will continue to update sections and expand on new subjects as they are completed. There are plenty of topics to cover as I have 30+ years of memories and experiences of Japan to go by. On the limited locations, well, I’m not trying to tag every place I’ve been to for the sake of tagging it, and I know I have plenty of future opportunities to come to Japan, so I take my time and enjoy every location I go, with some 2 week-long trips taking over a year of planning, as well as casual visits to Tokyo just to hang out without a plan, or shopping trips targeting some new toys from Akihabara. I currently have no plans to visit Okinawa, but it doesn’t mean I won’t suddenly have an urge and go next summer. I like cold climates, and the list will be biased towards areas with snowfall. As an experienced traveler to Japan and watching a lot of Japanese variety TV, one thing I keep noticing is that Japanese people love making Top Rank Lists. These lists are on TV, they’re on blogger websites, they’re everywhere. They have top lists for just about anything, food, onsen, onsen water pumping rate, Japanese rice, gardens, parking lots, .... I like the concept because people are challenged to better themselves and the products they serve. So following in the custom, here’s my personal list of what I think are the best of Japan that I’ve experienced. Lists will only show Top 3 (and maybe a few commendations), because there are far too many topics to cover. As a foodie, this always must come first. other things like sightseeing lists please scroll down. Just a reminder, this is purely a personal ranking list. Much of Japan’s food in general are pretty great to begin with, these are, in my view, the cream of the crop. Japanese beef. I’ve had my fair share of wagyu from all over Japan. I do wish I’ve tried more, but when you’ve had real wagyu, those Australian and California “pirated copies” just aren’t the same thing. Although i must add that while I like wagyu, I like it in small quantities, because it’s too fatty. If i want a proper charcoal grilled steak, my preferred choice is a good Southwestern American Angus chuck top blade steak. 1. Otawara-gyu 大田原牛: from Nasu Plateau in Tochigi. Insanely good. Soft as ice cream, and flavourful as Colorado Angus. The fat melts in a very good way on the tongue. It’s so good I have problems coming up with words that describe how good it really is. I prefer this to the more famous Yonezawa-gyu, which in most Japanese lists, ranks as #1. This is the best beef I've had in Japan, and it's very small production beef, so you won't be able to find it regularly in Tokyo, not even in the high end establishments like Okahan or Imahan. 150g raw A5 Otawara-gyu steak @ Kinugawa Fudotaki, Kinugawa Onsen, Tochigi prefecture. A5 Matsuzaka-gyu steak lunch set @ Isemon Honten, Tsu, Mie prefecture. 3. Hida-gyu 飛騨牛: from Hida region in Gifu. Very excellent quality beef, very soft texture, amazing meaty flavours that did not get drowned out by all the sauce in a sukiyaki. A5 Hida-gyu as Sukiyaki, part of the set dinner @ Konji Ryokan, Shin-hirayu onsen of Okuhida Onsen area, Gifu prefecture. Commendations(in no particular order): Noto-gyu(能登牛 Ishikawa), Yonezawa-gyu(米沢牛 Yamagata), Maezawa-gyu(前沢牛 Iwate), Hakurou-gyu(白老牛 Hokkaido). Sorry, I’m have not tried many southern wagyu. I’ve mainly only come across Saga-gyu, and so far from what I’ve tried, I’m not a fan. A4 Yonezawa-gyu steak cut for yakiniku@ Bekoya (べこや), Yonezawa, Yamagata prefecture. Japanese rice, like any other major rice producing country, have good and bad rice. The general quality is far above average, for Japanese cuisine. I wouldn’t use Japanese rice in place of Basmati for Indian curry, or for risotto. Like wagyu, Australia and California also borrowed strains of Koshihikari to produce their own, but I’ve never tried Australian so I’ll refrain from commenting on theirs. Californian Nishiki is really bad, CalRose is mediocre when hot, garbage once it cools. I disagree with Tamaki receiving any commendations, in my opinion, their rice is just not good, after cooking the smell is actually ok and the rice flavour isn’t bad, but texture is just not Japanese rice, and there’s a heavy rice stench aftertaste like bad China rice(just to be clear, there is really good China rice). Back to Japanese rice, I’ve probably tried and bought over 50 different kinds of rice from different regions, and my wonderful relatives in Japan have also given me some varieties I wasn’t able to buy. 1. Akita Komachi: as the name implies, this is from Akita Pref. This is the most useful rice and goes well with just about anything Japanese. I’d even have steamed Akita Komachi with Shanghainese or Szechuan food and it’s got a great consistency, just slightly sticky but still could be picked up individually by chopsticks. It’s also great by itself as shio-musubi, an onigiri flavoured with just a little sprinkling of sea salt and optional laver(nori). It taste completely different than Koshi-hikari, and I love eating Akita Komachi by itself, or Hong Kong style, with sunny-side-up eggs and a bit of soy sauce that’s heated in a pan with a touch of peanut oil. 2. Minami-Uonuma Koshi-hikari: from Minami Uonuma in Niigata. This is the ultimate sushi rice. Nothing else comes close, not Yumepirika, not Hitomebore. It’s not easy to tell one region of Koshi-hikari from another, but when put side by side in comparison, the flavour difference is recognizable, the touch difference when holding nigiri sushi by fingers, is even more noticeable. This rice is ranked #1 in Japan because it’s consistently high quality. Minami-Uonuma resides in a valley next to the Echigo mountain range and has extremely heavy snowfall, supposedly the ozone created by snowmelt cleans the rice of the rice stench and brings out the flavours. Whether this is true or not, Minami-Uonuma Koshi-hikari is definitely one of the best rice in the world. 3. Original Koshi-hikari: from rural areas around Fukui city. This is where the original strain was developed. The strain they use now, is still really good. Koshi-hikari is really the heart of what Japanese quality. Although other locations have produced far more famous rice, like #2 above, I’ve had amazing and memorable Fukui Koshi-hikari. This rice is only #3 because Akita Komachi is easier to get. One detail to note: Always check production year for the best rice. Fukui Koshi-hikari isn’t the best every year, the quality differs pretty wildly depending on weather since Fukui is very close to the coast of the Sea of Japan. 2012 was a very good year for Fukui Koshi-hikari. Commendations: Hitomebore(Miyagi/Akita) deserves special mention because I can eat this stuff all day, amazing rice, but i only like it as plain rice, maybe with a touch of konbu salt and Korean salted nori and nothing else. It’s good, but i can’t pair it with anything else. The wonderful sweetness of the rice gets lost when anything stronger than pan-fried salmon touches it, and I like heavier flavours like umeboshi or Japanese curry, which means Akita’s stronger flavours and less gumminess is far more adaptable to different kinds of cuisine. The rest are: Hana-Echizen(Fukui), Nasu-hikari(Tochigi). Again, not sure if it’s just my taste buds, but I’m inclined to say snow-covered regions in Japan tend to be better suited to growing flavourful rice with a good individual grain consistency after steaming. To see Japanese Grain Inspection Association’s own ranking list, click here. I’m dying to try Yumepirika from Hokkaido. This rice got some of the highest grades in recent years, faring far better than the more famous Kirara-397, which is mostly only well known for it’s whiteness(kirara means shiny in Japanese). Also interested in Awayuki-Komachi from Akita, which is a low-amylose rice, very chewy and sticky, might be a good choice to make mochi with. Addendum(June 8, 2014): I’ve tried Yumepirika, and the water level is hard to balance. usually the rice comes out a bit hard and when cooled down, it hardens even more. It will take another bag and more tinkering to see if I can get this rice to shine. I also have some new rice from around the Nahoro region of Hokkaido, and it will be tested. Addendum(Sept 13, 2016): I have just been to Niigata and got some of last year's batch of Minami-Uonuma Koshihikari Special Grade. It's still coming to me by ship. Addendum(Oct 3, 2016): Here it is. Limited batch Minami Uonuma Koshihikari. This is a new selection from me. I was never a huge fan of ramen, it was always a low priority food when I was working in Japan. Although the restaurants and yatai I used to go to were pretty good, it really didn’t do anything for me until a fateful day traveling in Hokkaido, when I came across Baikohken. I’ve had butter miso ramen before in Hong Kong, and it’s mediocre at best. But Baikohken is truly a king in it’s own rights. That bowl of ramen completely changed my views towards ramen as a low priority food. I don’t know how many times I’ve talked about the 3 kings of Asahikawa ramen (Baikohken, Santoka, Aoba) and Baikohken being my favourite. Golden miso ramen broth with a big slab of Hokkaido butter and a healthy serving of local sweetcorn. There’s no doubt this is the best ramen in the world, but, while being amazingly awesome for warming up during the winter months, it’s a little heavy for my taste during the summer, and that gets it pulled down to number two. I’m sure other people who have a better summer constitution would welcome this as number one in their books. This truly is the best ramen I’ve ever eaten, and will gladly go back to -10 degree winter weather in Asahikawa just to eat Baikohken butter ramen. Miso Butter Ramen @ Baikohken Honten, Asahikawa, Hokkaido prefecture. And here we are. I’ve finally had a chance to try Aoba, and it has earned a spot in the top 3. I just ordered a simple shoyu ramen, but what came out was just spectacular. The depth of their soup stock is amazing. You can taste the various ingredients of the stock by smelling when it’s hot, smelling when it’s cold, tasting when it’s hot, tasting when it’s cold, and the different hints shows up at different times. The noodles are as expected from Asahikawa-style, slightly thick and springy, but not too chewy. The chasyu is quite tender and the menma(marinated bamboo shoots) a lovely addition to the noodles. That soup.... I just can’t believe how good that soup was. The subtle hints of pork bones rather than the obtuse use of it in Hakata-style, makes it feel light for the summer. The bonito and kelp main stock shows up well when the soup is piping hot, and the chicken stock with it’s collagen pops up once the soup cools down a bit. I’m glad Aoba stayed relatively small time instead of branching out to the international market like the garbage ramen that are Baikohken and Santoka branches in Hong Kong. Shio Butter Ramen @ Aoba Honten, Asahikawa, Hokkaido prefecture. Shellfish and mushrooms based soup, smoked chicken chasyu, Iwanori seaweed? This mess of dulled brown, black, green colours in a clear soup looks weird but they somehow matched well with each other, and I liked it a lot, enough to go back repeatedly. Well, Keihin Kamata station is also a great area for Haneda airport overnight layovers as there are plenty of hotels and shops that open quite late. 鶏と帆立の潮ラーメン Chicken and Scallops Shioramen(Shio as in ocean tide, a pun on the homynym with salt)@ Menba Voyage, Kamata, Tokyo. First tsukemen I’ve had in Japan. Amazing quality, very delicious soup. This restaurant is rated highly by Japanese top lists, and that’s where I found out about the place. The place I always go, not only because it’s in a building I frequent, but also because it’s my favourite ramen shop. Chabuton beats out Baikoken because it’s strong roasted spring onion flavours are good every day, while Baikoken is really a winter-only choice. From soup, to noodle, to pork, there’s nothing that doesn’t work well together in a big bowl of tasty ramen. While they recently added Tsukemen to their menu, their basic Chabuton-ryu shoyu ramen with the spring onion oil is in my opinion, the best ramen out of the thousands of ramen shops in Kanto region. Sorry, but to a Chinese person like me, generic Yokohama ramen is really, just mediocre Chinese noodles, even with most of the newer mixed tonkotsu + torikotsu + dashi broth. It really is, because most of it originated from mediocre post-war Chinese cooks living in Yokohama. While ramen is comparatively low priority, soba is very high priority for me, even if I don't eat it as much as I should. I love great soba, almost as much as I love great rice. I'm also picky in the sense that I like my soba rough milled, husk in, cut short, and have a very fresh soba smell to the noodles. I also like to add in a lot of fresh wasabi as a bit of stinging in the nose while slurping down those short noodles is heaven. This for me is the best soba in the world. Hands down. No contest. Their arabiki(粗びき rough cut) basic zaru soba is perfection for me. Added to that they serve some great vegetable tempura and good horse sashimi(called basashi). Arabiki soba@ Suisya(水舍), Matsumoto, Nagano prefecture. Good solid soba, only inlanders know how to do this properly. Maybe it's their fresh water supply from nearby mountains. Anyone visiting Ikaho onsen should not miss this on the way. Many soba joints in Tokyo, many mediocre. This is one of the best, with one of the best tsuyu sauces I've ever had. It's called kotsuyu and apparently it's an Aizu local specialty. I very seldomly go to expensive actual Sushi-ya, although I do have some top commendations like Sushi Sei in outer market of Tsukiji who’s fresh Aji is unbelieveable, their knife skills and variety are so distinct there’s no way to make a proper list. So, it’s down to the quality of generic Kaitenzushi shops with great quality fish at competitive prices that everyone can try. 1. Sushi-dining Tsuki (鮨ダイニング「月」) - Abashiri, Hokkaido: This place in the far reaches of Hokkaido is seriously the best kaiten sushi restaurant I’ve ever been to in the world. Their quality almost matches some of the better traditional sushi-ya in Tokyo. The building looks like a warehouse from the outside, hidden between giant outlet shops along the main street to the east side of town. The inside is very beautiful, with a classical modern design and a high ceiling making it a very comfortable and fashionable dining experience. their dishes vary from 130yen to 600yen for uni and otoro. they also have a selection of hot dishes as well. I highly recommend their Dobin Mushi(kettle soup) and Chawan Mushi(Steamed Egg). Unfortunately, I lost most of the photos from that trip, including the ones taken inside this place. Baby Yari-ika squid sushi @ Sushi-dining Tsuki, Abashiri, Hokkaido prefecture. 2. Kani-gen (回転寿し かに源) - Abashiri, Hokkaido: What’s the coincidence that the top 2 in my best sushi list are both in Abashiri? (probably as much a coincidence 2 of my top 3 ramen spots are in Asahikawa, personal taste) Don’t be fooled by the cliché look of the shop and it’s closeness to the train station(1 block west of Abashiri station) to believe this is a mediocre shop of convenience, like the many train station soba/sushi shops across Japan. This place serves amazing sushi at very affordable prices. First priority in inspecting quality, the maguro is top notch. Knife skills, colour and texture of the tuna meat is all of very high standards, and the chunk of meat is pretty big too. I also like that the sushi rice complements well enough to be forgotten while eating. It’s there, it enhances what you’ve ordered, but it plays the perfect background role. Their engawa was also quite good as well as their local Abashiri uni, raw oysters from Lake Saroma, and halibut(おひょう - o’hyou). One new thing I tried and liked immediately was their shoyu marinated Tako Manma(octopus roe) and i really liked it. I left the place carrying my stomach it was so good, and content because the chef was very attentive even with my bad pronunciation of the Japanese words. Abashiri oyster sushi @ Kani-gen, Abashiri, Hokkaido prefecture. 3. Sushi Zanmai Honten (すしざんまい 本店), Tsukiji Outer Market, Tokyo: Convenient and great quality, Sushi Zanmai is a staple of my sushi diet for many years. Their honten(original shop) is open 24hrs and usually quite busy. This is a place you’ll want to try to get ground floor seating, as the best chefs are right there and the quality is much better than what you get upstairs. Also, their honten is not a kaitenzushi shop, you won’t see a conveyor belt here. This is like a big sushi-ya, and it’s worth waiting for a bar seat and asking for their “osusume”(chef’s recommendations). There’s a lot of strange fish, but I can assure you almost all of it will be delicious. If you go into a sushi-ya and don’t eat a lot, you might as well not eat sushi. This is the place I started my craving for what I’d call “butter sushi” (炙りえんがわ aburi engawa), slightly charred fluke fins(similar to halibut). It’s stupidly good. Aburi hirame engawa sushi @ Sushi Zanmai Honten, Tsukiji, Tokyo. Katsu Midori Ikebukuro Seibu (回し寿司　活 西武池袋店), Ikebukuro, Tokyo: Very convenient location, great for those staying around west of the Tokyo Ring. A wide selection of quality fish for pretty affordable prices. Their dishes vary from 105yen to 525yen. They also have some very cheap selections in groups of threes, and they have some pretty good soft serve for dessert. Midori’s main shop in Shinjuku is one of the highest rated sushiya in Japan, but it’s a proper sushi bar, not a conveyor belt sushi, and that’s a little harder to rate due to the chefs all have their distinct styles and I haven’t been to enough of them to make an informed decision. I do have a few I like, ones that don’t cost 30,000yen per person, I’ll add the list when I have it compiled. As someone from Hong Kong, I'm a huge fan of street snacks, and usually the weird the better. Japan has some staples that are well known and beloved around the world, and some not so well known, but equally delicious. A major different to the rest of the world is, in Japan, it's customary to not walk and eat, even for street food you're supposed to stand or sit in one spot. which also help with the lack of public trash cans in Japan, since these stalls usually have their own garbage bags. 1. Menchi-katsu @ Niku no Saitou (メンチカツ @ 山形牛 肉のさいとう) - 180yen ea. - Sumida, Tokyo: I found this place after returning the rental car at Nissan Rentacar's Morishita branch and smelled deep fried goodness from across the street. Walked over and found a butcher shop but the smell is that of things fried in vegetable oil. So this butcher shop has a side business of selling croquettes and other fried items, and I stared at them for a while, finally decided to get a menchi-katsu, which is a croquette filled with minced beef and onions. Now this is back in Tokyo so I've already gone all over the place eating great food, but this menchikatsu, blew my mind how good it was. The butcher shop specialize in Yamagata beef, more specifically, Yonezawa beef. Menchi-katsu @ Niku no Saitou, Sumida, Tokyo. 2. Gohei-mochi @ Suisya (五平餅 @ 水舍) - 324yen/stick - Matsumoto, Nagano: Not exactly street food in this restaurant but variations of gohei-mochi can be found all over the mountainous parts of Chubu region. At Suisya soba house, they call it 蕎麦やきもち(soba yaki-mochi, or soba grilled ricecake) so it has soba flour added in for extra flavour. I like this version better than the normal version, the soba flavour matches very well with the sweet miso and sesame paste. 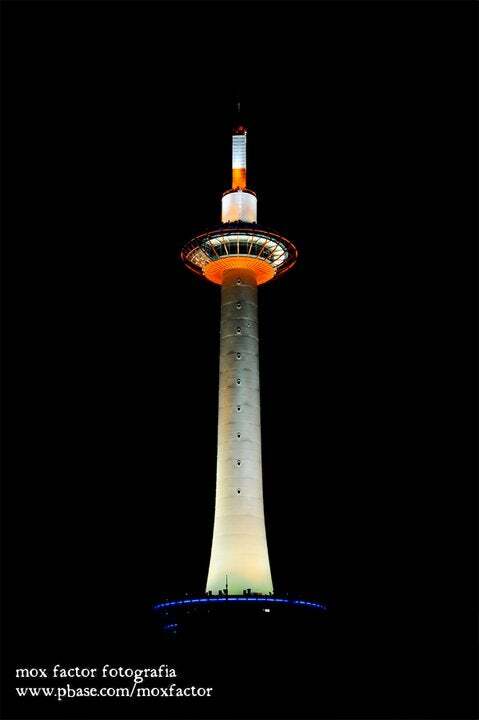 This should not be missed for anyone visiting Matsumoto. Soba Yaki-mochi @ Suisya, Matsumoto, Nagano prefecture. Ise Oden @ Misugigo Yachidamaya, Ise, Mie prefecture. 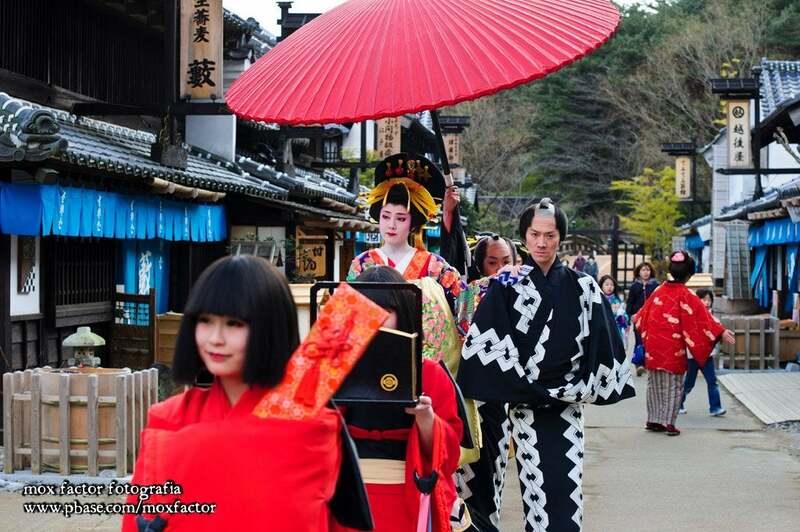 This is the travelers list, including hotels, onsens, sightseeing locations. I’ve been to over a dozen onsen ryokans, it’s not much compared to many other people, and I usually stay at the same ryokans, so rather than talking about the area, this list is for the individual resorts as well as the general area. All of the ryokans I stay at were heavily researched before choosing, for the location, nearby sightseeing spots, the ryokan’s service, quality of dinner and breakfasts, and the onsen itself is comparatively low priority. Don’t get me wrong, I like soaking in onsen, but I’m happy to be in a sento(paid bathhouse) if the food is amazing. Expect the small ryokans to have no internet service, which makes renting a pocket wifi device that much more important prior to the trip. 1. Hokuten no Oka Lake Abashiri Tsuruga Resort, Lake Abashiri, Hokkaido: What can I say, this place is insanely awesome. It’s not a traditional ryokan by any means. Dinner, rather than the traditional kaiseki, is served French style, many big plates with small portions of food. Breakfast is in this video, best breakfast buffet I’ve ever had, probably because I gorged myself on mentaiko, toast with fresh Hokkaido jam, and a cast iron pot of miso soup with fresh clams, cooked right on your tabletop stove. Our basic tatami room had a view of the nearby Lake Abashiri, although while we were there, everything was white with powder snow and we could only make out the trees. There’s absolutely nothing nearby so this will be a great place to see stars at night, and their onsen is open 24hrs, I highly suggest waking up before sunrise, going down to soak in the onsen, and relax in their huge tatami rest area, and watch the sky turn bright. The common areas in the hotel is amazing as well. Heading in for check-in, we were lead to a fireplace and sat around with drinks while the staff check-in for us, no need to stand at the lobby desk and watch them work. There’s a nice bar just behind, a cigar room on the other side, a beautiful ecclectic collection of chairs in the den that used to have a gorgeous sound system (dual McIntosh 275s with JBL Paragon D44000 Speaker cabinet, but they moved that system to another hotel), and a giant teepee looking outdoor footbath. Things to do around Lake Abashiri includes: ice hole fishing, horse riding, canoeing, pretty basic fare for rural areas. 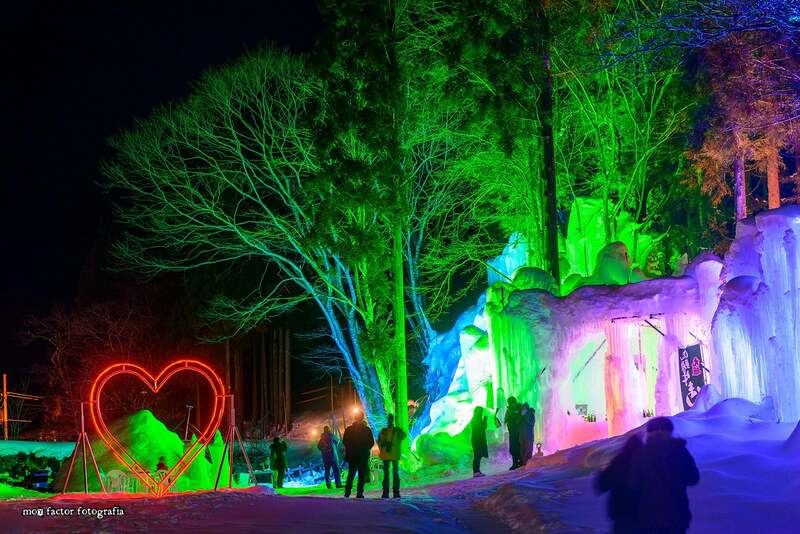 Neighbouring town of Abashiri has it’s fair share of fun things to do, an amazing sushi restaurant called Tsuki(as mentioned above), an old prison museum, a little ice museum with a hilltop view over the city, and during Late February every year, this is the place to see ice floes. Floating ice from siberia comes down, you can either view from an icebreaker boat, or get into a drysuit and float on ice yourself. A beautiful winter morning view from 7/F of Hokuten no Oka Lake Abashiri Tsuruga Resort. 2. Tachibana Shikitei, Yamashiro Onsen, Kaga, Ishikawa: Booked a rotenburo included room with myself, my brother and his son in May 2016. The 12.5 tatami room can comfortably fit 3 futons and there's a small rotenburo made from Japanese cypress(hinoki) outside with that wonderful cypress smell. The place is right next to a museum that was one of the summer homes of master Rosanjin who learned to make Yutani ceramicware here. Kaga cuisine is magnificent and unfortunately, we only had a short time here and had no time to explore further. Their website has Google Street View of the rooms. This is the room we got. 3. Konji Ryokan, Okuhida Onsen, Gifu: Tiny ryokan with 10 rooms, and a cozy little onsen. Food and service are magnificent. Highly recommended. This area in Okuhida is rather quiet, both daytime and in the evenings. It’s along the river and off the main street where the shops are, with snow blanketing tilled fields in between, so even lights are fairly rare. We saw so many stars in the parking area next to the ryokan, and this is with the lights from the room on and that room’s window open. Dinner includes the famous Hida beef, and the side order of offal stew is also really delicious. 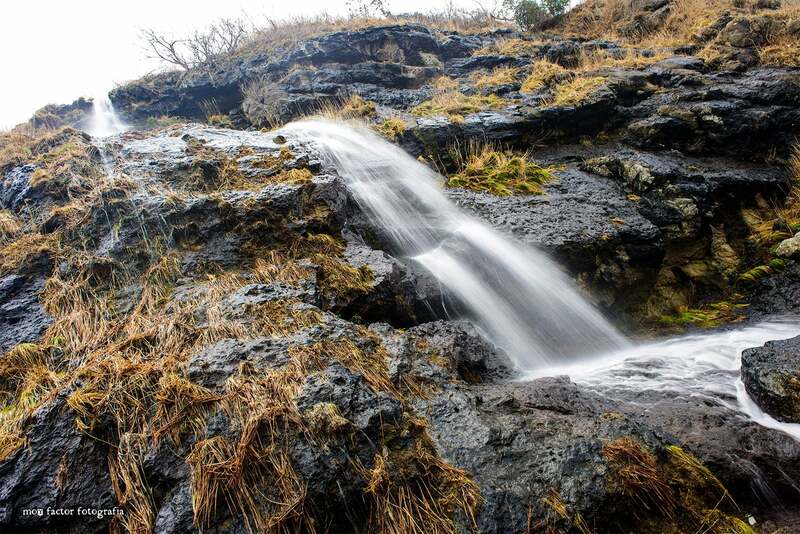 We were fortunate to make plans here to coincide with the Winter Light-up Matsuri going on just next door at the waterfall, called Taruma-no-taki. Commendations: Kinugawa Fudotaki, Kinugawa Onsen, Tochigi: Also a small ryokan, with only 11 rooms. This is also slightly further away from the big hotels near the train station, an early phone call to the ryokan and they will come pick you up from the station, but remember these small ryokans likely won’t have staff who can speak anything more than Japanese. This is the place where I tried Otawara beef for the first time, and it literally is melt in your mouth goodness, and so is the melon, neither of which requires teeth to eat. There’s quite a few interesting bridges along the river, and a bus at the station will take you to Edo Wonderland. Edo Wonderland is this theme park built to resemble feudal era Japan, so basically lots of geishas, samurais, and ninjas wandering about. It’s actually somewhat tacky, but in a really fun way. Daiichi Takimotokan (Noboribetsu, Hokkaido), this place is actually pretty great, but it’s not in the top 3 because I generally do not recommend hotels big enough for tour groups. Tours are great for beginners who want to experience a location to see what’s there, but I’m more of a deep-end-of-pool kind of guy. I came here with my brother back in 2004, and it was really good. We had in-room kaiseki dinner which included a lot of tarabagani(Red King Crab), and breakfast buffet was where we saw just how many people there were in the hotel. Since it’s a big hotel, there are many facilities to choose from. It’s actually the most relaxing big hotel I’ve been in as our time wasn’t as constraint as the tour groups so we enjoyed the facilities during offhours with very few other people around, playing old video games in the basement. Just behind the hotel is the onsen’s origins, Jigokudani(Hell Valley) fuming with sulfuric steam. There’s also a bear park nearby, unfortunately we didn’t have time to go there. Another recommendation is Kanaguya (Yamanouchi, Nagano), a famous 250+ year old ryokan at the famous Shibu Onsen, this ryokan is the template for the monster bath house seen in the animated movie Spirited Away(千と千尋の神隠し). Beautiful and haunting both outside and inside, once you step it, you feel transported back at least 40 years. Good is great, amenities are decent, but there are some problems with an old ryokan like this. The men’s onsen walls are thin and along the outer wall, so it’s below freezing during the winter, with almost no lights. There are no in-room showers and there’s only 2-3 rooms that have bathrooms. It’s best not staying during winter for men, the ladies onsen is in the interior of the building, so it’s much warmer. To save money for onsen ryokans, I usually find cheap “business hotels” to stay at while in Japan. Cheap being a comparative term, these hotels range between 3000 to 8000yen per person per night, but there are many in great locations, they have decent amenities, and more importantly, they’re usually clean. If you like to stay at a big named chain hotel and have bellboys in cute costumes, the hotels in this list maybe dingy and cramped to you, but I find these to be great places to stay for a night or two, and they’re near convenience stores and sightseeing spots. Also, free wifi or lan connection is imperative. Prices below are via Jalan.net(unless otherwise stated), per person per night. 2. Hotel Forest Inn Kanazawa, Ishikawa Pref. : ~2000-3750yen. This one is a little far from any train or bus station so it’s better for rental car, staying plans on Jalan includes free parking, either the little garage under the hotel, or the parking lot across the street. It’s around the corner from Myouryuji(better known as Ninja Temple), and within 10 minutes walking distance, there’s probably close to 20 temples and shrines dotting the area, and 2 blocks further from Ninja Temple, is Nishi-chaya-ga(West Teahouse Street), one of three streets still kept as they looked over a hundred years ago. The hotel is also only a 5 minute drive away from 21st Century Museum or Kohrinbo, either spot a great place to park for visiting Kenrokuen. Interesting thing about this hotel, is there’s a sento(public bath) on the top floor(free for guest use). 3. Hotel Fukui Castle, Fukui Pref. : ~3300-6500yen. The higher price includes tickets to nearby(driving distance) sightseeing places. This little hotel I stayed at in early 2013. Found it online after an extensive search for a location between the drive from Kyoto to Kanazawa. It’s ok for train as well. Walking to and from Fukui station, all you need to do is to walk through Fukui City Hall, which is built on what used to be Fukui Castle, the remnant moat viewable from your hotel room. Nearest convenience store is a few minutes walk away. Hotel Parking is outdoor, get up a few minutes early to brush the snow off the rental car if you stay here during winter. Oh, and free wifi. Commendations: 2 in Tokyo and 1 in Asahikawa. From Tokyo, My Stays Inn Asakusabashi, a long and short-term apartment/hotel, with a coin laundry on ground floor and back entrance into a Lawson convenience store and Ryogoku River Hotel, a business hotel across the street from Ryogoku station and the Sumo Stadium next to the station. These are good places for Akihabara shoppers, as well as people who like to visit Ueno, Asakusa, and SkyTree, but they’re a bit far from the general shopping areas like Shinjuku, Shibuya, and Ikebukuro. (closed) Asahikawa Terminal Hotel, Hokkaido: Out of Asahikawa station and turn left, the hotel is right there. That’s how close it was. Taxi stand and the main bus station are right in front, taking you to Sounkyo Gorge, Asahiyama Zoo or any other popular tourist attraction. There’s a shopping centre next door, and across the street begins Heiwa-dori Shopping street. Starting about a block down, one after the other, are the top 3 Asahikawa-style ramen shops, Santouka, Baikoken, and Aoba. Unfortunately, this hotel closed its doors September 30, 2012, but I had to include it because it was so affordable and convenient. I guess the next best thing in Asahikawa now is Asahikawa Washington Hotel, I just stayed there for 2 non-consecutive nights last week and while the room is like most other cheap hotels, it’s location is pretty good and the complimentary breakfast is not too shabby. In some ways I’m reluctant to share these locations because I like their seclusion, but these places are so beautiful I want everyone to see it with their own eyes. These are some of my favourite places to take photos and relax for hours waiting for the right light, hopefully with very little disturbance. 1. Lookout point between Noroshi and Senmaida, across the street from Tsubaki Tea House, on the north edge of Noto Peninsula. It’s name on Google Map is Tsubaki’s Vantage Point(椿の展望台), but there’s basically no signs. The spot is easy to miss heading eastwards towards Noroshi, just keep a lookout for the tea house and turn left into the little parking area. Please be careful when stepping near the ledge as the dirt there is quite loose. 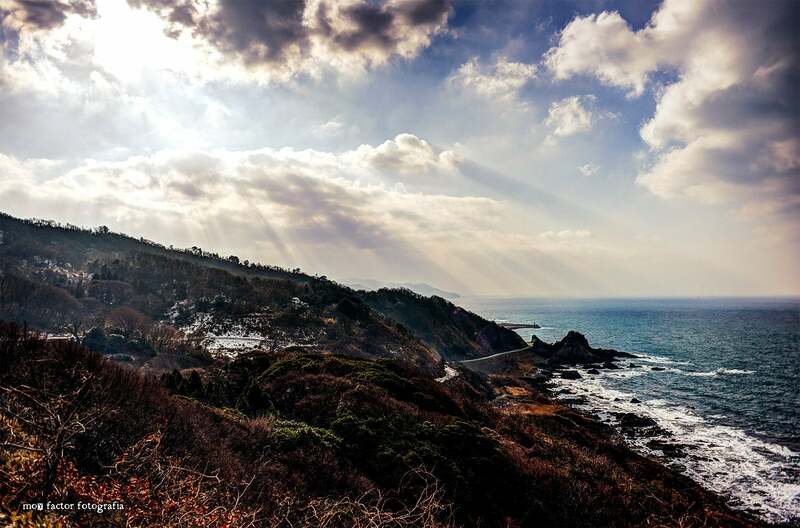 This is a small cliff looking down towards the coastline of Sea of Japan, violent seas throwing waves on broken rocks yet being far up, it’s quite serene. There’s also a waterfall next to a collapsed tunnel closer to Senmaida along the Sosogi Coastline that’s also a great place for shooting (see 2nd photo), and dotted along the coast are a few small villages, sometimes you can see them making sea salt. 2. 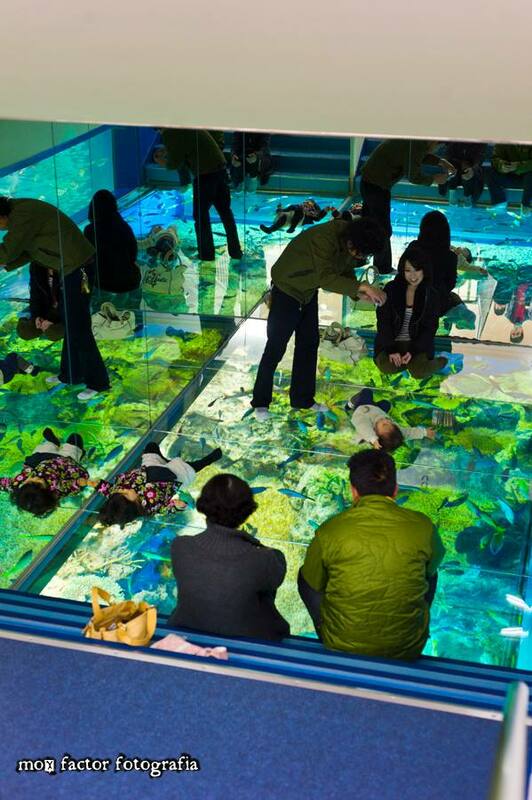 Glass floor room in Echizen Matsushima Aquarium: This one is an actual tourist spot, but since this is not an internationally well known attraction, almost all the tourists you see here are from Japan, especially during the winter. Either shoot various ways on the glass itself, or stand back and shoot parents or grandparents who often bring young children here(always ask permission first, “shashin dai-jyou-bu desuka?” is enough). Bring a fish-eye or wide-angle lens, get on the glass floor and look towards the side glass panels, often you’ll get a surprise as the stingrays(or skates?) will shuffle across the glass, giving you a great view of their white bellies with yellow trims. Shooting with the lens on the floor is great for both video and stills, but maybe require manual focus. 3. Masegawa, the next mountain over from Gero onsen in Gifu prefecture, there's a road leading to this river valley a few minutes drive north of Gero onsen, and then you can follow the prefectural road #431 downstream for quite a ways with a few good spots to stop the car for bridge and dam shots. Northeast side of Lake Kawaguchi, small park just next to the bridge. 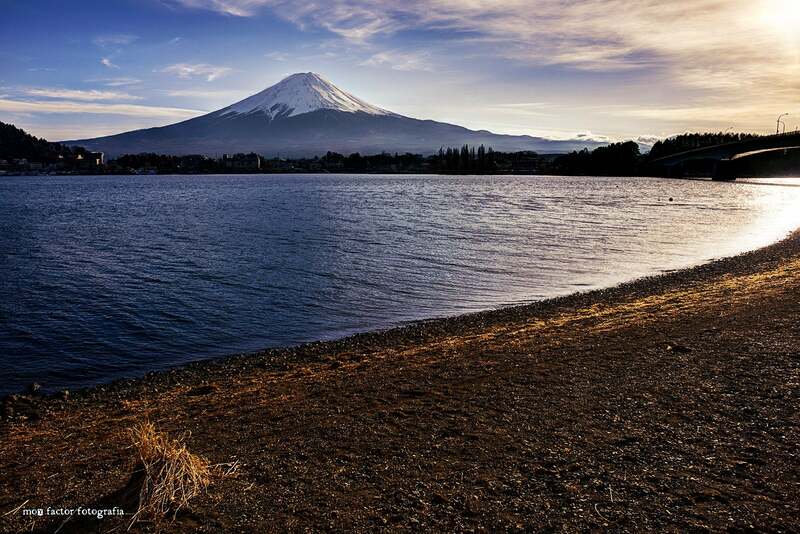 Perfect unobstructed view of Mount Fuji, with a bridge on the right side. There’s also a few spots before getting down to the water where trees make for a nice frame, right at eye-height. This is not in the top 3 because it’s a very well known spot for Japanese tourists, and it’s impossible to find parking on good days. Just find the bridge at Kawaguchi-ko on Google Map and click photos, there’s a whole bunch of samples right there of exactly what to shoot, then it’s just down to weather. Sunset in winter is especially nice with lots of beautiful, slightly muted violet hues and just a thin line of houses above the waterline with lights on, reflected in the water below. The giant manekineko head watching over Tokoname Manekineko Street. Suizu Parking Area, along the expressway from Kyoto up to Fukui(it must be this northwards route, going the other way the parking area is that lower spot in the photo), about 10-15 minutes before reaching Echizen. 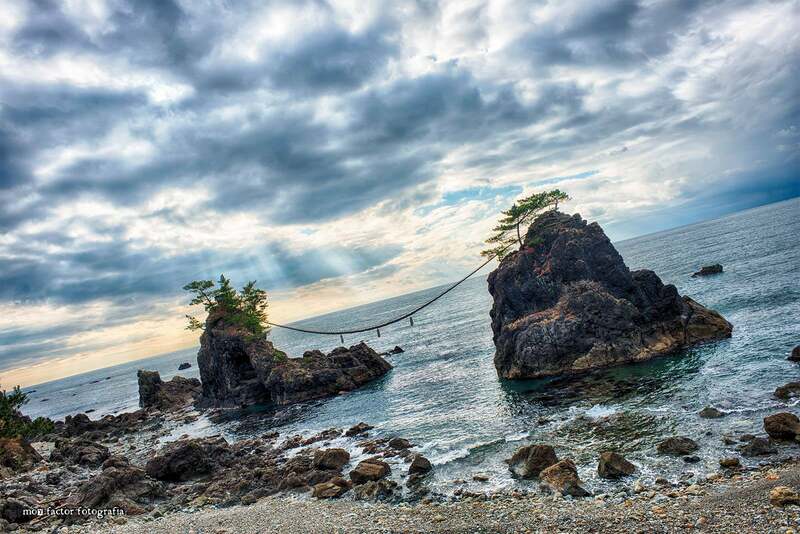 This is a very famous spot for sunset photos in Japan, but mostly unknown to people outside of Japan. Mostly around Hokuriku and Eastern Hokkaido region, as this area I’ve traveled extensively by car, able to stop at many locations far away from most tourist traffic. Feb 26, 2017:  Fixed some broken links, added more photos, updated some sections, added street snacks. Oct 3, 2016: Added photo of Minami-Uonuma Koshihikari rice bag. Sept 13, 2016: Updated some information and added a few photos. Added Soba section. July 31, 2016: Switching over to our own forums. Nov 2, 2014: Switching over to Kinja, so the photos can be shown. June 6, 2014: Edits in Ramen and Kaitenzushi sections. Addendum to Rice section. Sept 21, 2013: Added Ramen and Kaitenzushi sections. Sept 18, 2013: First posting on my photography page on Facebook.